Auction Decorating: Bringing the garden inside in style! Why limit 'garden ornaments' to the garden? For me, they bring a little Spring inside, and can be very chic decoration. In this library designed by Markham Roberts note the porcelain garden seats used as side tables by the chairs. Chinese or Japanese porcelain garden seats always seemed very impractical to me for the garden. They look like they could break too easily outside, but inside, they're perfect. 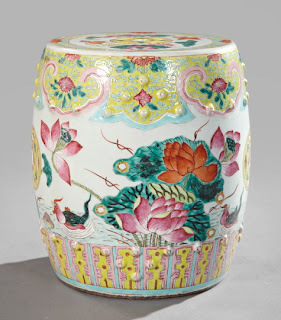 This gorgeous Kuang Hsu porcelain child's garden seat has lovely decoration. It's included in the next St. Charles Gallery auction January 22nd and 23rd in New Orleans. This is Lot 652, is 11.75" tall and has an auction estimate of $50 - $80. It's 1st quarter 20th century. It would be a wonderful little side table or decoration under table. 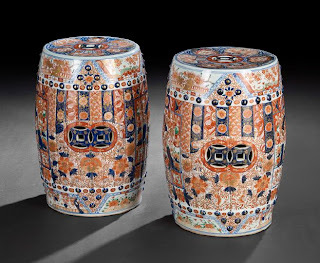 This pair of Japanese Imari garden seats takes the quality up a notch. The blue, red and white design is very smart, and pairs are always more usable. 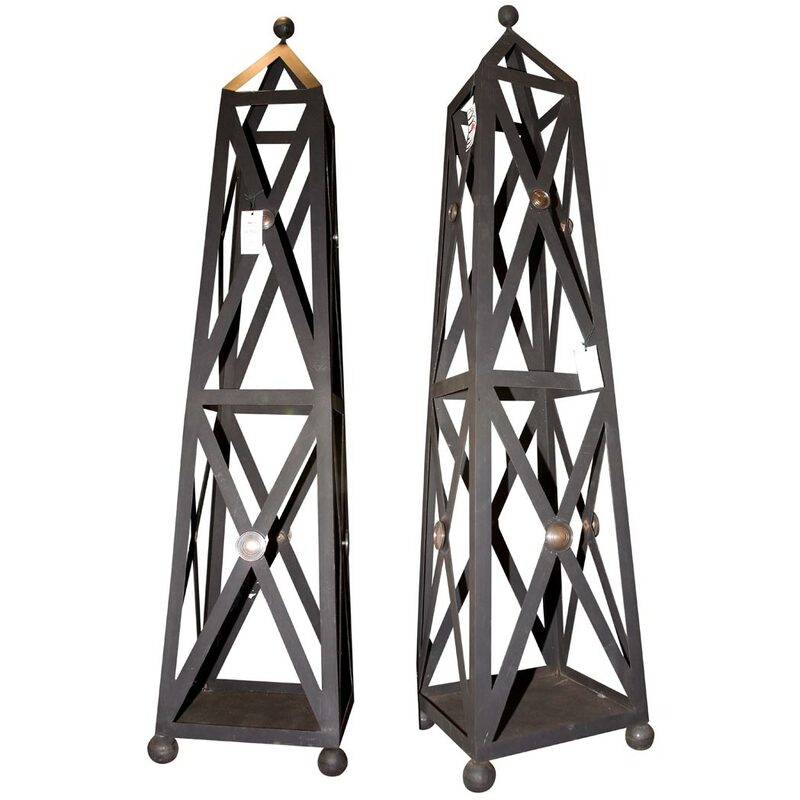 These are in the next New Orleans Auction January 29th and 30th, Lot 185. 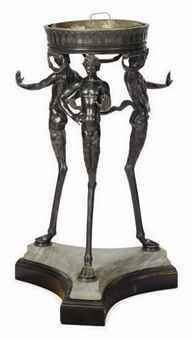 They are described as 20th century, 20.25" tall, and have an auction estimate of $2,500 - $4,000. Blue and white porcelain decoration is so classic! 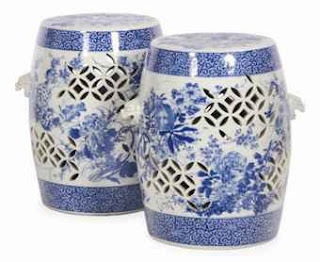 Who doesn't love a blue and white interior, and these would be perfect additions. This pair of 19th century Japanese garden seats are 16" tall, and are included in the February 8th and 9th auction at Christie's New York, Lot 688. They have an auction estimate of $700 - $900. 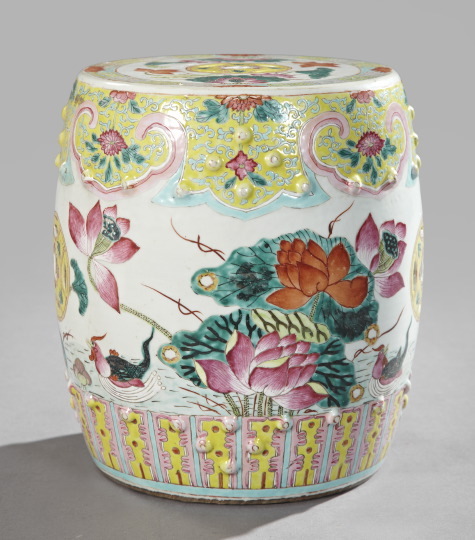 I couldn't resist this fabulous jardiniere also in the Christie's sale, Lot 850. The figures look so Art Deco to me, although the description doesn't say when it was made. This is made of patinated metal and marble, and would make a terrific decorative stand, or even a place for a plant! This is 36.5" tall, and has an auction estimate of $1,000 - $1,500. 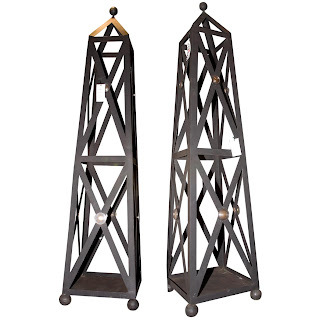 This pair of smart metal garden trellises would serve as terrific architectural column-like decoration. 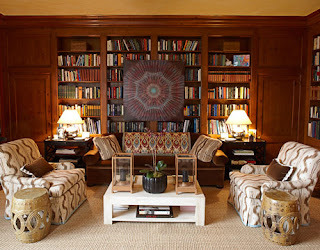 I could see them flanking a sofa, or delineating two parts of a large room. Another idea might be to wire them with lights hanging on the inside - very cool! These sold at a Doyle New York for $813. 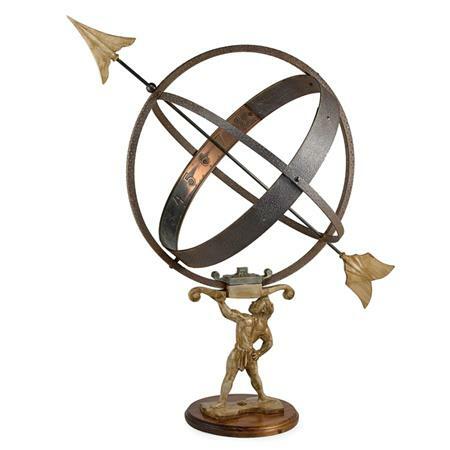 An armillary sundial is terribly decorative as a sculpture on a table or bookshelf. I love this example because of the overall design and the cute figure holding it up. It stands 31" tall. This also sold at a Doyle New York auction last year for $1,063. Bring in a little bit of the garden before Spring arrives! Auctions will very often have garden ornaments on offer, and you can find creative ways to bring them inside to make chic additions to your decor.